On the market with a guide price of €495,000, Thornbrook in Raheens, Kilmeaden, Co Waterford is an exquisite property on an estate of 41 acres. Built in 1991, Thornbrook is a two storey country home consisting of approx 205 sqm/2207 sq ft. The entrance porch i south facing to the front of the property and this leads to a light filled open hallway with access to the kitchen / dining room, drawing room and sitting room. According to the auctioneers Savills, the kitchen/dining room is well proportioned and includes fully fitted kitchen units and a breakfast bar. Access to the external utility room is through the boot room to the rear of the property. The living accommodation comprises a fine drawing room with open fire and a cosy sitting room with wood burning stove. 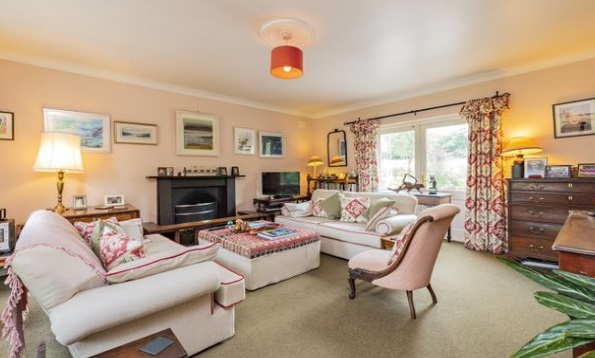 There is also a spacious study off the sitting room which could double as children's playroom or a library. On the first floor, the four bedrooms are all of good size and proportion with superb views over the grounds. Also found on the first floor is a family bathroom and an open landing which throws light into the bedroom spaces and the hallway below. READ MORE: Waterford boxing coach to donate €50k National Lottery win to "vital youth services"
According to the auctioneers, the house is situated within well-maintained, informal garden grounds which are a particular feature of Thornbrook. There are lawns to the front and side of the house which are bordered by mature hedgerows, grassland and paddock areas. The outbuildings at Thornbrook comprise a 2-bay barn with loft and 3 loose boxes with attached tack room. Both buildings are in excellent condition and as they offer flexibility, they could be used for a variety of uses. There is 6 acres of mature woodland and 10 acres of 3-year-old plantation of native woodland the latter of which attracts a Forestry Premium payment for 15 years from planting. There is also a stream-fed lake towards the middle of the holding and excellent access to all of the fields via the internal, private driveway. To find out more about Thornbrook, contact Savills at 01 663 4350 or check their website here.